Another action-packed day of poker tournaments during the 888poker XL Blizzard. On the ninth day of the XL Blizzard Series on 888poker, players enjoyed an action-packed schedule. In total, three tournaments started with the XL Blizzard #25 - $30,000 DeepStack as the highlight of the day. Let's take a look at the results. After over nine hours of play, the XL Blizzard #25 - $30,000 DeepStack crowned a winner. "concepteco" from Romania claimed the first-place prize of $4,361 after defeating "simoneblondi " in heads-up play. Before that all went down, the final five players made a deal. The event had 461 players register with 157 rebuys for a total of 618 entries. They created a prize pool of $30,900 with 63 places getting paid. "ladyCharm77" from Russia finished on the bubble and was the last player unable to break into the money. After several hours of play, the tournament dwindled down to nine players who made for the official final table. In quick succession, the tournament lost "Crazyboollet" (ninth, $513), "josetecrazy" (eight, $695) and "tinchoarce" (seventh, $1,004). With six players left, the tension rose. The Russian finalist "Maedhros11" couldn't stand the heat and finished in sixth place for $1,313. A deal was agreed upon and Maedhros11's countryman "Roma3Pari" exited not long after, settling for fifth place and a prize of $2,669. The last player from the United Kingdom, "1PPeneus1" finished in fourth place for $3,127. The remaining three players were all guaranteed at least $3,142, and that prize went to Russia's "Oddy772" for his or her third-place finish. In the end, Romania's "concepteco " got the victory and the first prize of $4,361. Runner-up "simoneblondi" just missed the title and had to settle for second place ($4,176). As is the case every day during 888poker's XL Blizzard Series, there was also a Mini edition of the DeepStack on the schedule. To compete in this tournament, players had to pay $16.50. In total, 1,281 players did just that and 424 rebuys were made for a total of 1,705 entries. That created a total prize pool of $25,575, getting divided over the last 162 players. The most money was up for grabs on the final table, where every finalist got at least $275. All the attention went to the first prize of $4,348, which went to Romania's winner "cretzzuu93". The Romanian player defeated Russian "Limonad19" in the deciding heads up and saw the runner up settling for second place ($3,197). 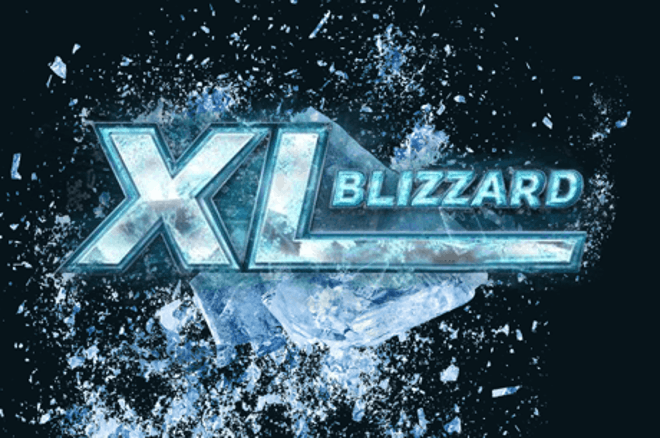 At 9 p.m. GMT, 421 players registered for the XL Blizzard #27 - $10,000 Late DeepStack. In total, 110 players used their option to rebuy to create a total of 531 entries. That meant there was no overlay and with that, a total prize pool of $15,930 with $3,056 for the winner. Every finalist was guaranteed $264 and the tournament reached that stage after "ExcFree" busted in tenth place for $207. On the final table, "ole_schemion", "Motherpucker" and "shag72" left in quick succession finishing in ninth ($264), eighth ($358), and seventh ($518) place. "WAY2EZ." and "ErikOttoL" had to settle for sixth ($677) and fifth ($892) place, before "MttRaven" from Denmark ended up in fourth place ($1,274). "tgrigoletti" from Brazil then busted in third place ($1,673) and missed out on the heads-up. The final two players were guaranteed at least $2,270. The two remaining players made a deal and it was Germany's "1loverivers" who won the tournament for $2,842 while "vips25" settled for second place and $2,485. 888poker is making it easy for players to join in on the action in the XL Blizzard by not only making the buy-ins affordable but also hosting tons of satellites where you can get in cheaply. Some of the satellites even allow you to get into events for free. If you already have an account at 888poker and have made a deposit, you should have already received two free tickets for daily freeroll satellites to the Mini Opening Event and the Main Event. You can earn more tickets to these freerolls by completing simple missions. If you don't have an account yet, you can also grab three free tickets simply by signing up to 888poker through PokerNews and making your first deposit of at least $10 using the "BLIZZARD10" bonus code. 888poker is inviting players that participate in at least five XL Blizzard Events into a freeroll that awards a $12,600 WSOP Main Event package to the winner and three $2,700 Crazy 8’s packages to those who finish second through fourth. The world's second largest online poker site and one that is dedicated to recreational players. Bonus code: NEW888. T&C's apply. PokerNews.com covers the 888poker XL Blizzard throughout the series. Check the PokerNews Live Reporting section for all 888poker XL Blizzard live updates.